I attended a two day class on Web2.0 marketing taught by Andreas Weigand. There is nothing new that came about. I do see generalizations of certain concepts, like free is the next business model. One important impact of Web2.0 that gets lost in the hyperboles is the ease, speed and scale of the customer conversations. Customers were always talking to each other, tinkering with the product, and exchanging experiences and their product adaptations. Now all these happens at a much faster rate and across a large audience. In my conversation with Professor Rashi Glazer, he described Web2.0 world as Marketing Communication, he added “today your customers are having conversations about your product and your decision is whether you want to be part of it or ignore it”. In other words, Web2.0 is not a substitution for bad strategy or lack of one, but a tool that companies cannot avoid but use to communicate with their customers. It is an effective marketing communication tool. Having a blog, user participation, social network, a tag cloud etc does not help your firm if it lacks strategy. If the firm ignores these tools in its marketing mix, it stands to be excluded from the conversation. Who are the customers and how do they make purchasing decisions? How is the market segmented? What are the holes that we can fill? Why haven’t someone else filled it? Who are the current players in the market? What is their strategy? Will they accommodate us or fight on price? What should be our firm’s strategy? Go for Profit or Market share? Do we want to stay small and capture one segment or grow to fill other niches? How defensible is our strategy? What is unique about our offering or the activities we perform to deliver these? 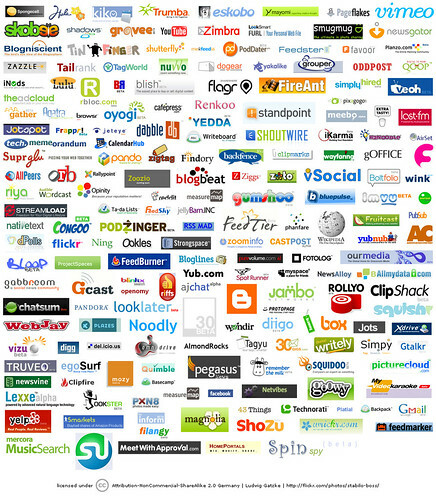 Web2.0 is part of the marketing mix tactics, letting you choose your price, channels and communication. It does not obviate strategy! The concept of Willingness To Pay (WTP) is meant to convey what price a consumer is willing to pay to buy a product and still be left with a positive value. The idea of profit maximization is to price a product in such a way to extract every bit of value from the customer that they will be indifferent between choosing and not choosing the product. I have not paid any for any of the web services I have been using. Search, blog, group collaboration, my own social network, surveys, documents, spreadsheets, etc. Now when a new service that is marginally effective aims to charge me for using it, the choice is easy. Unfortunately the price of web services is now their marginal cost, $0 , not because it has to be priced at MC but because my reference price is $0. Anyone who attempts to charge a non zero price without managing the customer reference price (that is improving it from $0) has a wrong business model. You cannot simply move from free to fee without first focusing on customer reference price.